is a fine example of Italianate architecture. two-bath private residences et on 3 acres. accents, apple trees and lush gardens. Search the Country's Most Exquisite Old Houses for Sale. Welcome to CIRCA, a site specially crafted for all the wonderful old house lovers and dreamers out there. Do you walk around wishing you could fix up every fixer-upper, restore every bygone-looking home, and salvage every old door and mantel? We feel your pain! CIRCA is a curated historic house marketplace showcasing the most beautiful old homes for sale all across the country. Go ahead: Browse. Indulge. Find your dream home. On a rolling 46 acres sits the “Horseshoe Robinson House,” originally owned by Galbraith Robinson–a soldier in the Revolutionary War. Originally constructed in 1838, this quaint rustic home in Westminster, SC is situated above sprawling, picturesque countryside. The main house, a Queen Anne Victorian (3300 square feet) built in 1904 proudly displays the Texas Historical Marker and is listed on the National Register of Historic Places. Stunning Midcentury Modern dream home. Extremely well built, designed and maintained! Small farm with beautiful renovated 1866 cedar built home full of character! One of Norfolk’s finest historic homes. Solid and well maintained with a multifaceted history. This beautiful large late Queen Anne Victorian home in historic Uniontown, MD was built by Dr. Luther Kemp in 1908. This is an historic Craftsman style architecture, inspired by Frank Lloyd Wright. This Victorian era farmhouse is a showplace of highest quality craftsmanship. Every detail in this 1897 home is either original or has been handcrafted for the period. “Edelweiss” – Located on top of the bluff with exquisite views of the MS River. This is Mississippi’s premier example of the Swiss Chalet style of architecture and the most picturesque of the Victorian houses built in Natchez during the post-Civil War period. 1802 Classic Brick Federal Georgian on a 74-acre estate offering stunning period detail throughout the main house with over 6,000 sq.ft. 6 bedrooms, 8 fireplaces, grand private and public rooms with high ceilings in beautifully restored condition. The Lynn Hall property, along with the nearby cottage, is listed on the National Register of Historic Places, and is a prime example of Organic Prairie architecture. Panola Hall has shaped Georgia’s social, business, & cultural life for centuries. Built in 1854, this sterling example of Antebellum Greek Revival architecture offers the best in relaxed Southern living lifestyle. Own a piece of Pop culture, gorgeous architecture and movie history! This grand 2 story, 3 bay brick Neo-Georgian Prairie style home, ca 1922, is a contributing building in the NRHP Grand Boulevard Historic District in Greenwood, MS in the heart of the Mississippi Delta. Enjoy a perfect central Rye location, true historic charm and a stylish modern interior – this 6-bedroom classic Rye home has it all! Take a step back in time and admire the exquisite details of this 1862-built 3-story brick home, situated on 10.75 acres. Stunningly Elegant Victorian Estate On 10 Private Acres. Home Boasts A Complete High End Renovation, Yet Maintains The Perfect Blend Of Original Character & Sophisticated Charm. The Taylor-Burroughs Farm evokes a pastoral New England landscape hard to imagine so close to Boston. The fully restored c1750 farmhouse is set at the end of a tree-lined drive, bounded by double stone walls and surrounded by 3.3± acres of open meadows and abutting conserved land. Built by Major Samuel Scott, a Revolutionary War Officer and occupied by Union Calvary Officers during the Civil War for 229 years. Locust Thicket has witnessed some of America’s greatest historical events including a legal battle between Major Scott and his then neighbor President Thomas Jefferson. The Oaks-One of a kind luxury antebellum residence with extraordinary attention to detail. You will find yourself in complete Awe the moment you cross the threshold of this magnificent estate located in highly sought after downtown LaGrange. This sun-infused 1875 Coastal Victorian has magnificent water views of the Long Island Sound and Manor Park. Turn of century Vernacular Victorian beauty in Ocala FL’s downtown Historic District! Perched on famed Fort King Street, this is a piece of history! Stunning, fully re-designed and renovated Brick Manor Colonial on full acre of direct waterfront! Set back from the road for complete privacy and featuring 240 acres of rolling pastures! CIRCA is a curated historic house marketplace showcasing the most beautiful old homes for sale all across the country. Go ahead: Browse. Indulge. Find your dream home. CIRCA AVERAGES 2 MILLION PAGE VIEWS EACH MONTH. 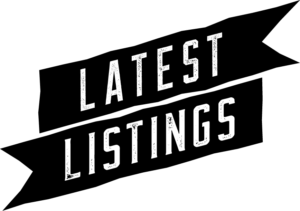 Listing on CIRCA exposes your property to a large niche group of people who are specifically looking to purchase an old house. Your listing will be promoted to hundreds of thousands of old-house lovers.